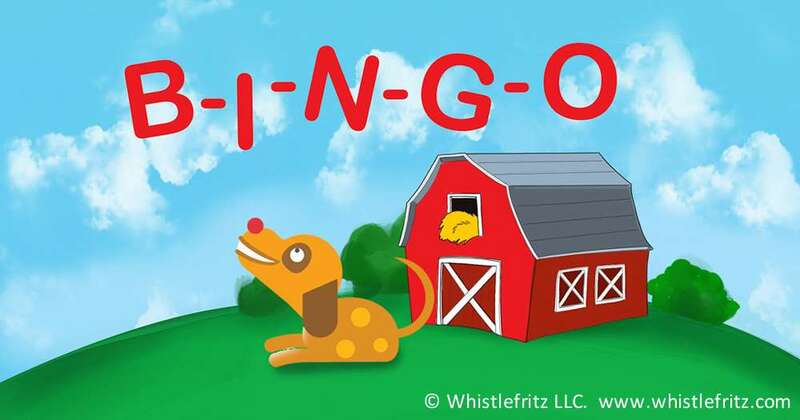 Kids will love hearing this familiar folksong about a farmer and his dog with a Latin twist. 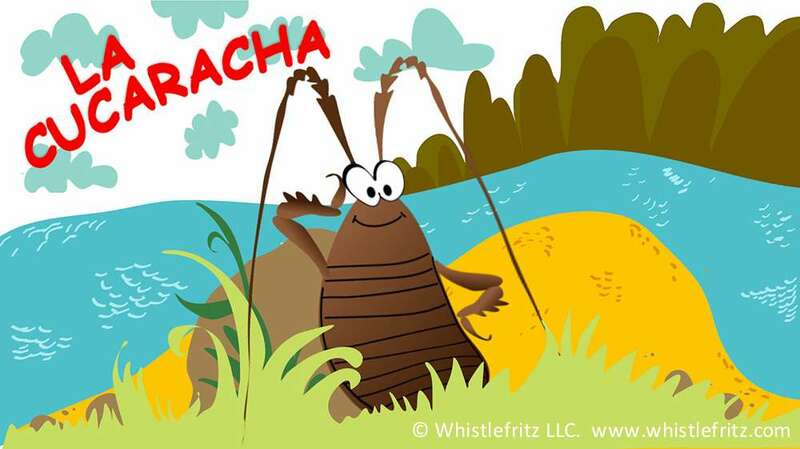 The song is from Whistlefritz’s CD CHA, CHA, CHA — Spanish Learning Songs. Había un perro en una granja y se llamaba Bingo. Here comes the wolf! In this song and game, kids are going for a walk in the woods, but they have to be careful. If The Wolf is in the woods, he’ll eat them. So, kids cautiously take turns asking The Wolf what he’s doing to make sure they’ll be safe. As long as the The Wolf is putting on a piece of clothing, they’re safe. But when The Wolf is done, it’s time to run! Children thrill with anticipation after each question as they wonder if they can stay or have to scamper away. This fun, participatory song teaches children the Spanish words for different items of clothing. The song, performed by Jorge Anaya, is from Whistlefritz’s CD ¡SABOR! mientras el lobo no está. él te va a comer. no te va a comer. ¿Lobo?… ¿Me escuchas?… ¿Qué haces? Yo me pongo los calcetines. Yo me pongo los pantalones. Yo me pongo la camisa. Yo me pongo los zapatos. Yo me pongo el sombrero. This Spanish version of the American classic “Old MacDonald Had a Farm” teaches the names and sounds of barnyard animals in Spanish. From ducks and donkeys to pigs and roosters, children will enjoy singing along in Spanish to a familiar tune. The song, performed by Jorge Anaya, is from Whistlefritz’s CD ¡SABOR! – Spanish Learning Songs. Song “EN EL RANCHO DE MACDONALD” from the Whistlefritz CD ¡SABOR! En el rancho de MacDonald I-A-I-A-O. En el rancho tiene un perro I-A-I-A-O. Con el guau guau aquí y guau guau allá. Guau, guau, guau, guau aquí y allá. Monkeys, giraffes, tigers, zebras, and pandas all dance together in a wild musical celebration at the zoo. This catchy merengue song introduces children to a wide variety of wild animals and the Spanish words for those animals. The song — “EN EL ZOOLÓGICO” — is performed by Jorge Anaya on Whistlefritz’s CD ¡SABOR! – Spanish Learning Songs. 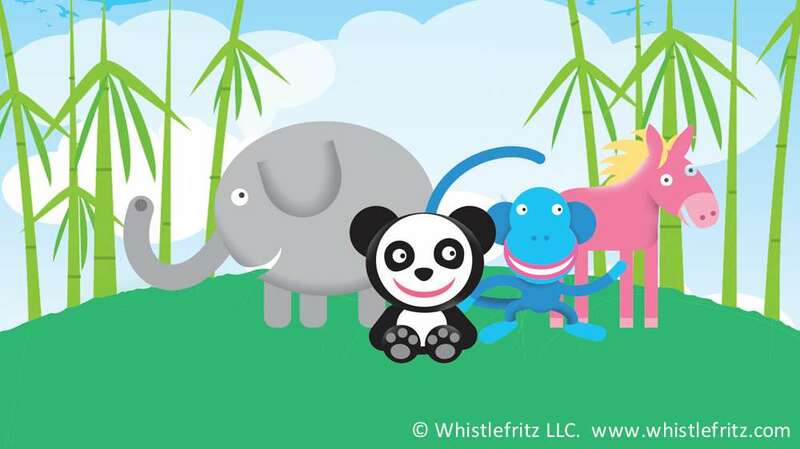 Song “EN EL ZOOLÓGICO” from the Whistlefritz CD ¡SABOR! se alegran al bailar esta canción. y por la noche se oye el acordeón. El mono baila con la jirafa. El tigre baila con la zebra. El elefante con la leona. Y el canguro con la pantera. El oso baila con la culebra. El pato baila con la cabra. El oso panda con la alpaca. Y el pizote con la gorila. El pavo baila con la tortuga. El lobo baila con la loba. El rinoceronte con la iguana. Y el hipopótamo con la rana. Bailan, gozan en el zoológico.